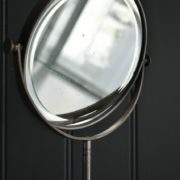 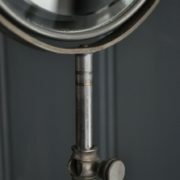 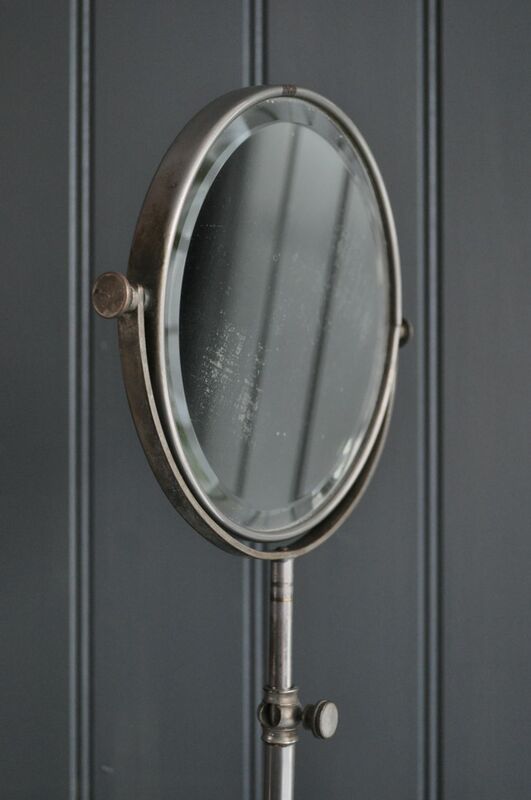 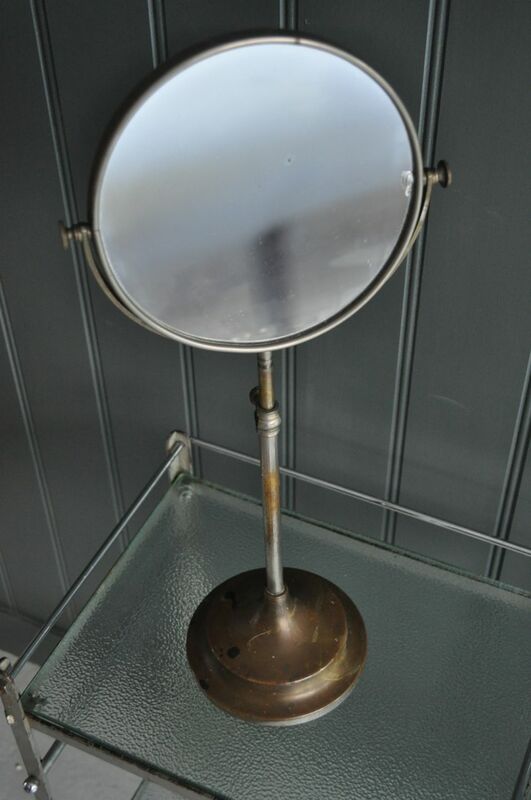 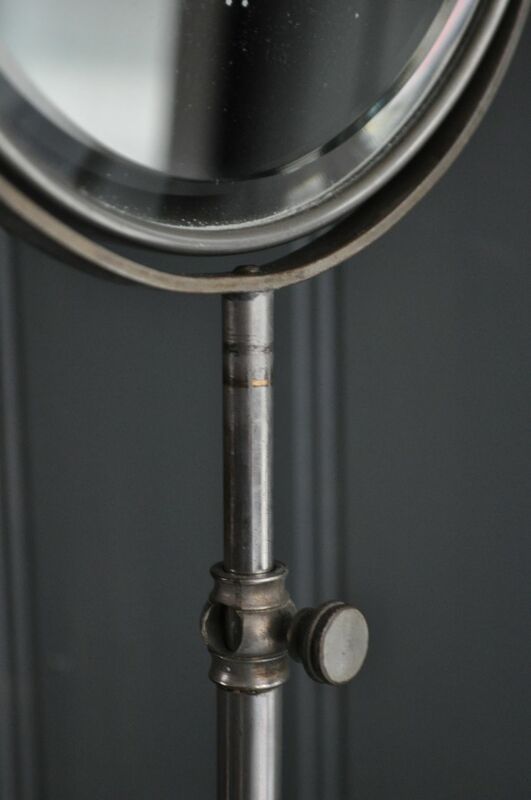 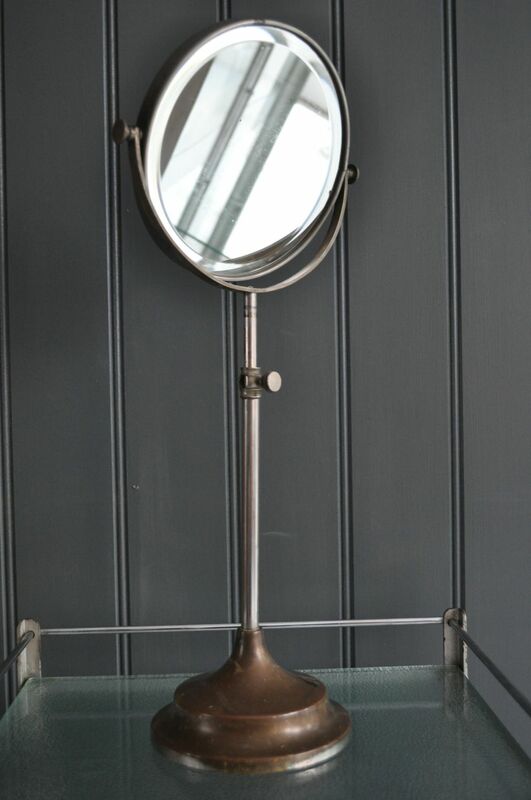 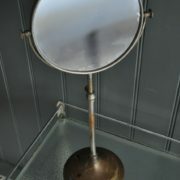 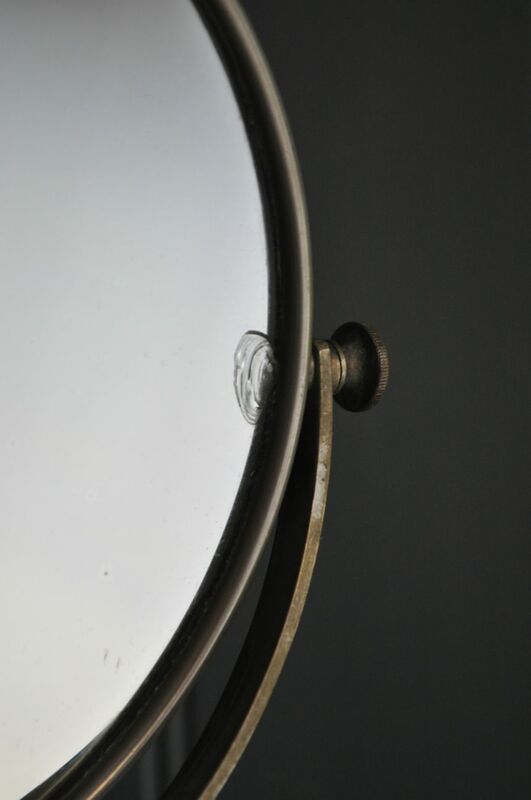 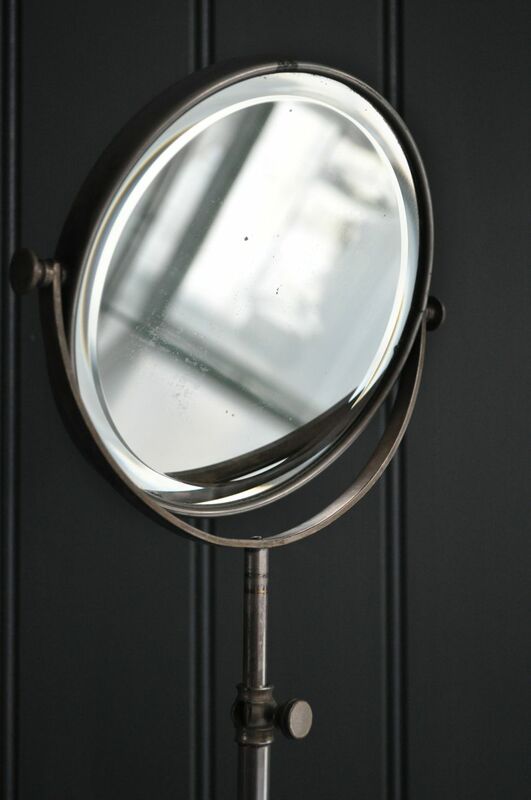 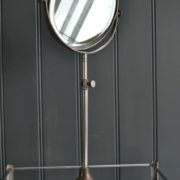 Telescopic shaving mirror, with a bevelled edge to one side and a magnifying concave mirror to the other. 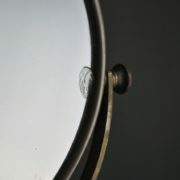 Small area of loss to the sliver backing on one area of the mirror, but no damage to the glass. 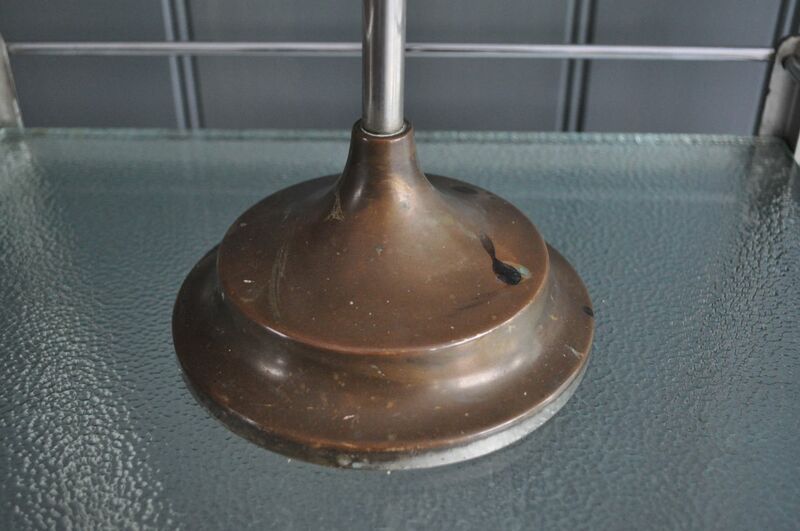 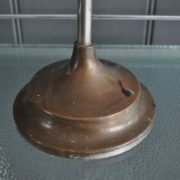 Plenty of wear to the stand itself, in keeping with age.